Check Rates & Availability at Staybridge Suites GULF SHORES! 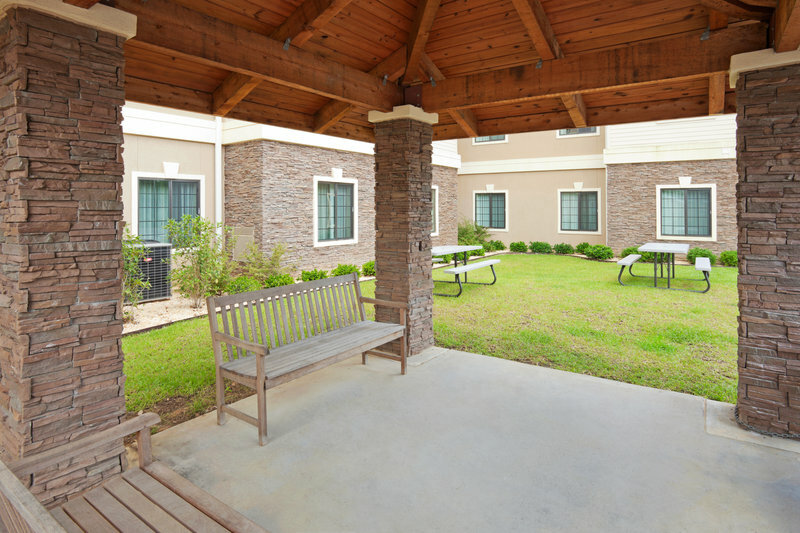 Hotel is located in Gulf Shores, AlabamaSituated just minutes from the beautiful white sand beach of the Gulf of Mexico, the Staybridge Suites Gulf Shores offers the utmost in comfort and convenience for your business trip or family vacation. Located on Highway 59 just 4.5 miles from the coast and just minutes from shopping and dining, the Staybridge Suites in Gulf Shores, AL is ideal for any travel itinerary.The all suite hotel offers a complimentary buffet breakfast, onsite complimentary laundry facilities, complimentary Wi-Fi as well as an evening reception Monday through Wednesday.TheStaybridge Suites is conveniently located to many area attractions including OWA Amusement Park, Waterville USA and the Track Recreation Center. In addition to all the complimentary items the hotel offers, the Staybridge Suites offers spacious accommodations with living rooms and fully equipped kitchens. So whether you are visiting for business or pleasure, you will be comfortable and convenient to everything. The place to go in Gulf Shores for the best in food, fun and sports! We are fryer free and make the tastes that will change the way you look at life.